Vatnajokull, Reykjavik and Laki. 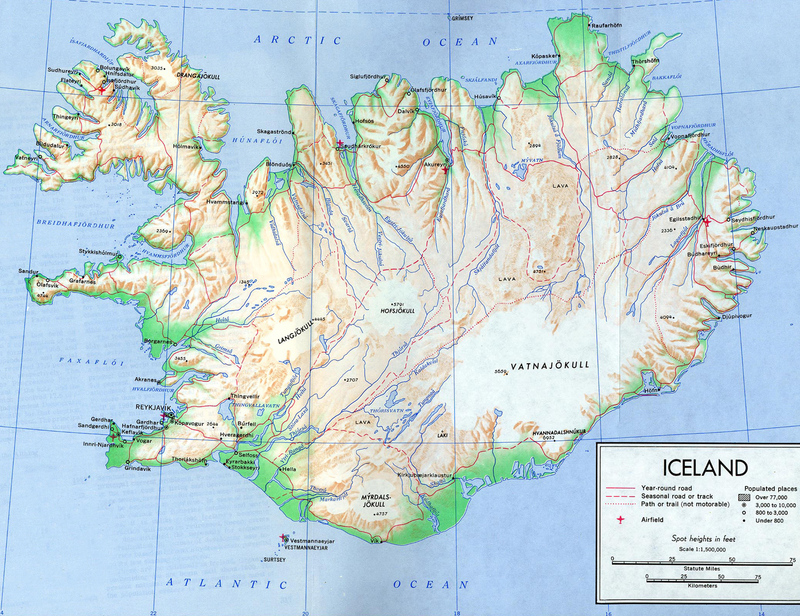 Grindavik, Akranes and Gardhar. Vestmannaeyjar city in island of the same name. Cities of Hofh, djupivogur and Eskifjordhur. Greenland Sea and Denmark strait.